One of Galway’s best-known fruit and veg suppliers will feature on the Countrywide show on RTE Radio this weekend. Johnny Curley will take us through his life story from when he came back from England to grow his first set of cabbages to the building of his family business and how he has now become one of the largest suppliers to Ireland’s largest chain of family restaurants, Supermac’s. Johnny Curley has been delivering his top quality fresh products to Supermac’s, SuperSubs and Papa John’s Ireland over the past 15 years and he supplies the famous daily made fresh soup in SuperSubs. 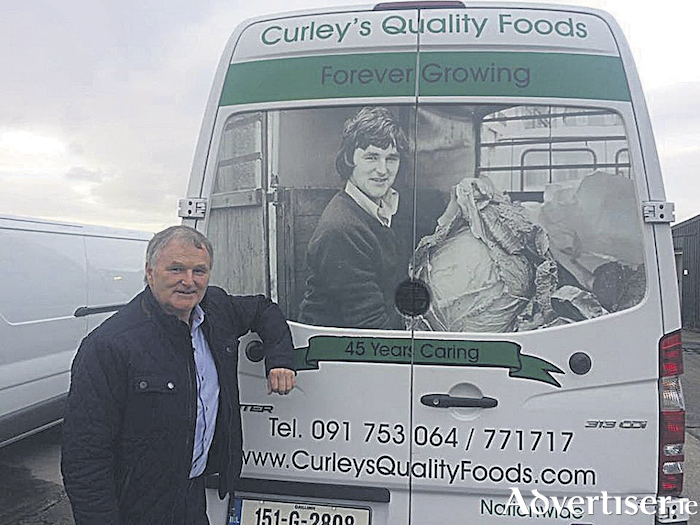 Curley Quality Foods have been dedicated to sourcing the finest and freshest produce available worldwide for the past 45 years and the Galway family business are the one of the largest privately-owned fruit and vegetable companies in Ireland. You can hear more of Johnny’s story on Countrywide on RTE Radio 1 from 8am next Saturday morning. Page generated in 0.1621 seconds.